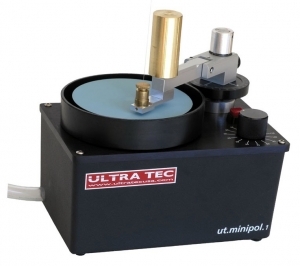 UT.MINIPOL.1 is a fiber polishing system designed for prototyping and small production. All connector types may be prepared by the system, including SC, FC, ST, D4, SMA, Bare fiber, PC, and Flat polishes are all accommodated by simple changes of the lap and/or the workholder. A factory-set reciprocating arm movement rides the rotating lap producing high performance. This produces quality results at a low price. 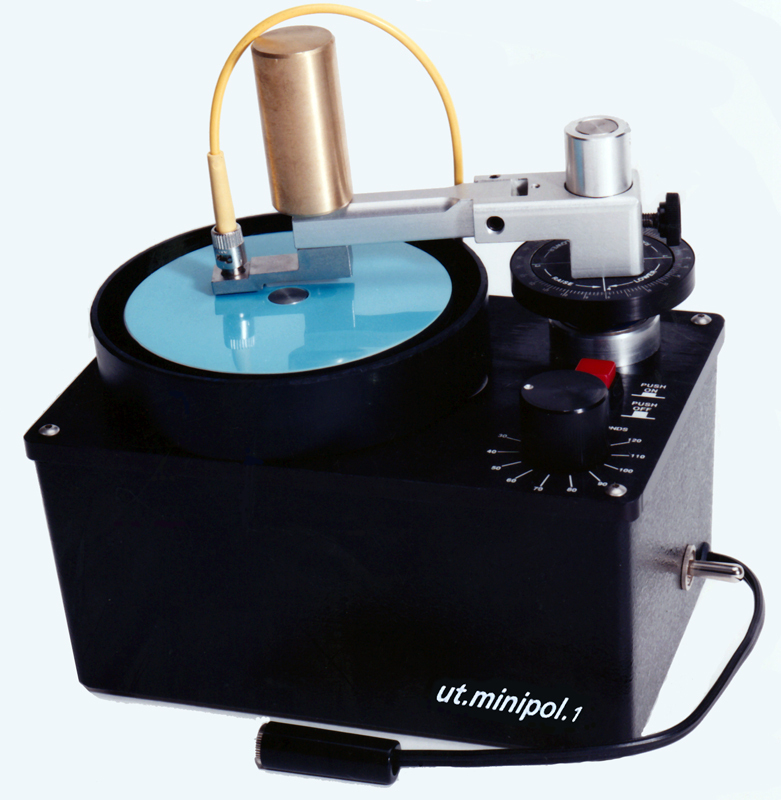 UT.MINIPOL.1 allows for use as a retro-polishing machine or as a quick factory-use system whether used singly, or in tandem with other units. The system can be powered by 110 or 220 VAC converter or by a standard 12V battery. A wide variety of Workholders are available for extending the use of the system at any time. Developed for 'In-the-field' and 'Retro-Polishing' applications, the FTTx portable connector/termini/contact polisher from ULTRA TEC provides the performance required by installation professionals for the FTTx, LAN, CATV, and Aircraft/shipboard applications. Industry-standard polishes are readily achieved due to a robust design and system build along with using the latest techniques. The polisher can be held at any desired angle during operation. This allows for true portable operation in small workspaces, cross-connects, fiber nodes and wire closets. The unit can be operated with either a battery pack or a power supply (both included with standard package).Developed for 'In-the-field' and 'Retro-Polishing' applications, the FTTx portable connector/termini/contact polisher from ULTRA TEC provides the performance required by installation professionals for the FTTx, LAN, CATV, and Aircraft/shipboard applications. The polisher can be held at any desired angle during operation. This allows for true portable operation in small workspaces, cross-connects, fiber nodes and wire closets. The unit can be operated with either a battery pack or a power supply (both included with standard package).